This Summer, Kids Earn a Free Book | Back to Basics Learning Dynamics, Inc. Beat the heat and still compete? It’s the Barnes and Noble Summer Reading Triathlon! Too hot for kids to play outside? No worries! It’s the 20th anniversary of Barnes & Noble’s Summer Reading Program. This year, the Summer Reading Triathlon, gives young readers (grades 1-6) the opportunity to earn a free book by reading three books and completing a journal about the books they’ve read. 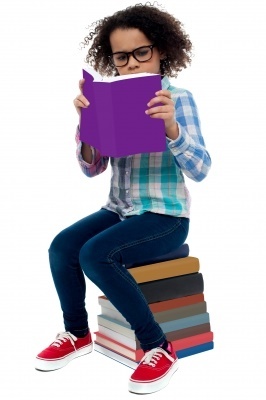 It’s a great way to encourage kids to make reading a priority during the summer months! Step 1. Fill out the Summer Reading Triathlon Reading Journal (PDF). En Español (PDF). During the Summer Reading Triathlon, kids have the chance to vote for their favorite heroes and places in a wide selection of great books, by filling out a ballot nominating their gold, silver, and bronze-medaled books in each group. Ballots will be located near the entrance of the Children’s Department of their local store. Voting ends August 21. And, kids can vote as many times as they’d like, to help move their favorite choices up the leader board. The Summer Reading Triathlon will conclude on August 27 at 11AM, at which time the local and national winners will be announced. For more information, please visit Barnes and Noble. To get your family started, Back to Basics Learning Dynamics has compiled a list of must-read children’s books by age category. These are some of our top picks that both children — and parents — will love. Back to Basics Learning Dynamics is the undisputed leader in 1-on-1 tutoring in Delaware and southeastern Pennsylvania for over 60 subjects, including reading at all levels. The company also offers 1-on-1 SAT Prep in Delaware, ACT Prep, and Test Prep, translating and interpreting in 20 languages, homeschool support, educational testing and more. For more information about Back to Basics’ educational services, please call us at 302-594-0754. Another snow day? It's a perfect opportunity to get kids to snuggle up with a great book! Why are The Arts important for children of all ages?